I have a total weakness for lamb burgers. 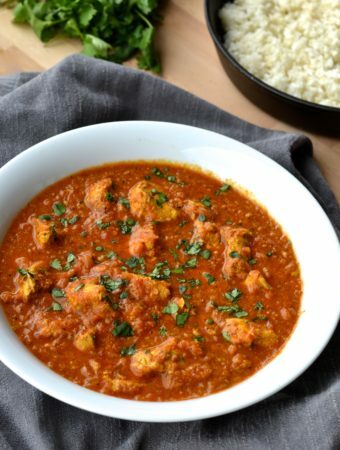 I absolutely love the combination of the richly flavoured meat and freshness of mint and oregano. 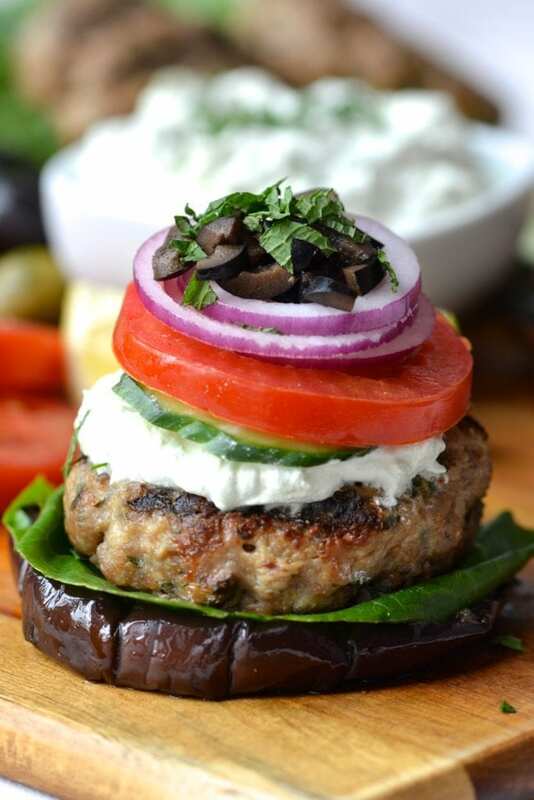 Although these patties are tasty enough to be enjoyed on their own, when served with all of the other toppings….holy Greek food heaven! 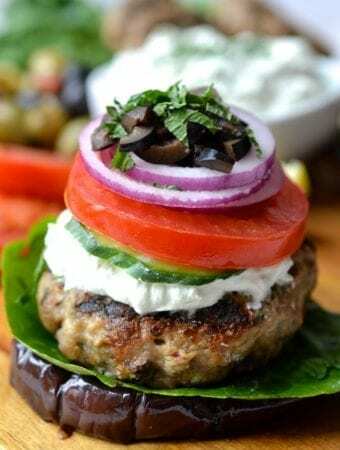 I absolutely love this deconstructed Greek Burger board. 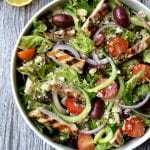 For this post I included sliced red onion, cucumber, tomatoes, lettuce, tzatziki, olives, feta (skip if Paleo) and grilled eggplant. You can play around with the toppings, including anything you want, but personally I think the only deal breaker is the tzatziki. 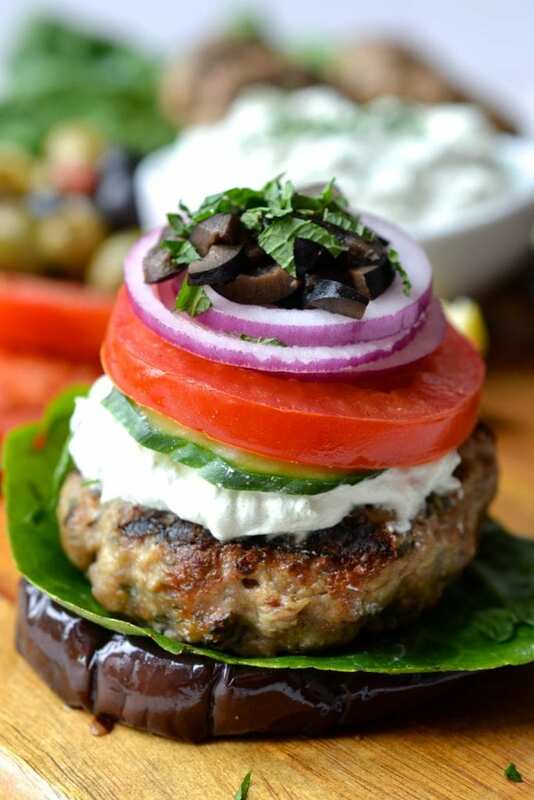 A lamb burger without tzatziki is like cereal without milk, they are a match made in heaven. 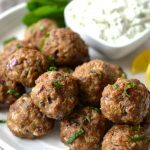 Although the ground lamb is really the star of the show, the fresh herbs and sharp kick of acidity thanks to the addition of red wine vinegar really amps up the flavour. 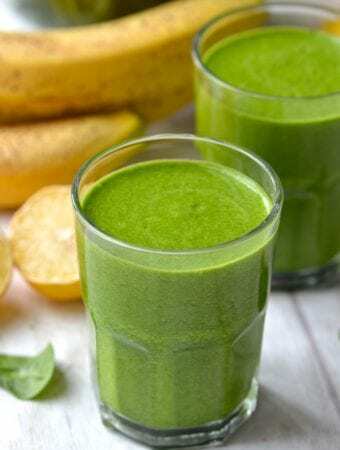 Personally I find the combination of fresh parsley and mint and dried oregano to work best, but feel free to use all dried or all fresh. 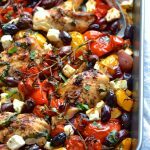 When switching between dried and fresh herbs in a recipe, remember that the flavour is much more concentrated in dried herbs so the ratio should be 3:1, ie 1/4 tsp dried = 3/4 tsp fresh. 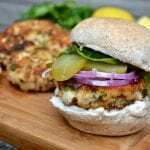 You can cook the lamb burgers in the oven, on a grill pan or on the barbecue, just be sure not to overcook as they can quickly dry out. 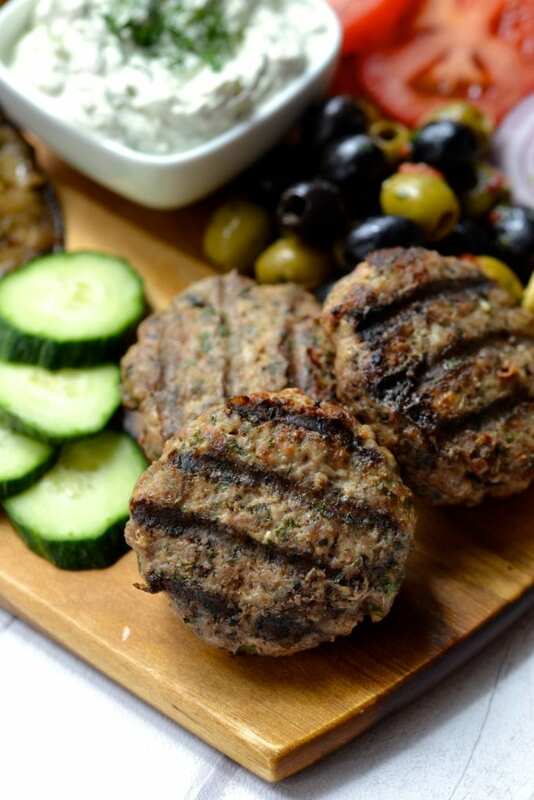 There are so many different ways to enjoy these lamb burgers. 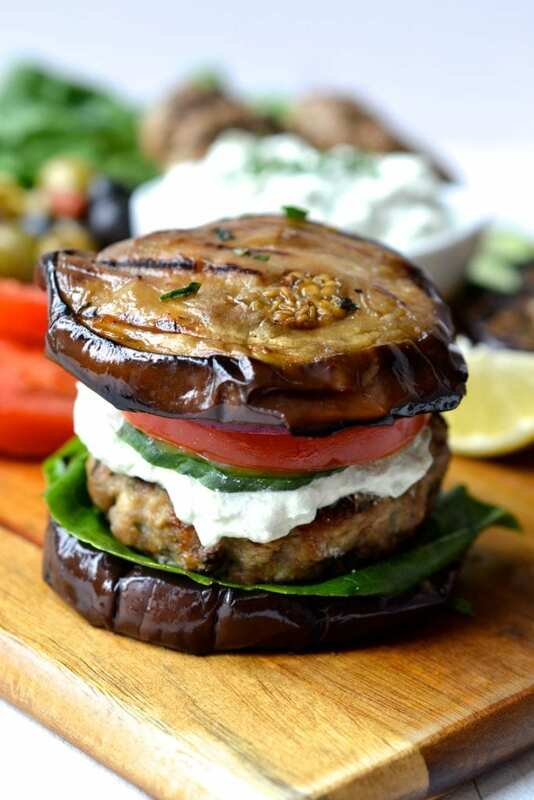 You can toss everything into a bowl to make a salad, enjoy it deconstructed, or my personal favourite, serve it all on a grilled eggplant “bun”. 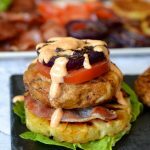 I was really impressed with how well two eggplant slices worked in place of a bun, and as long as they are thick enough, even enable you to pick up the burger and eat it with your hands! 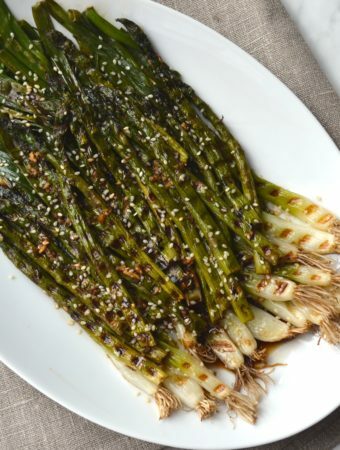 The grilled eggplant is one of my absolute favourite side dishes for summer. 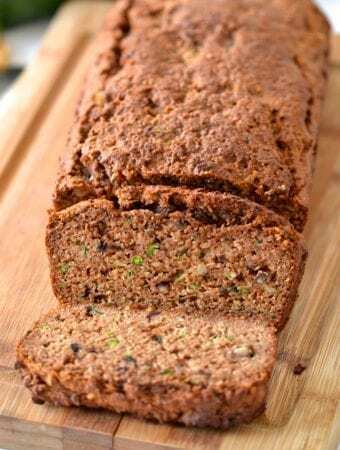 I love them so much that I created a separate post to show you guys how to make them because they are just so good. 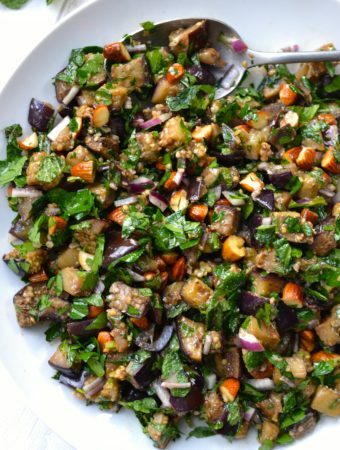 The eggplant slices can be made up to a day ahead of time and can be served either warm or cold. 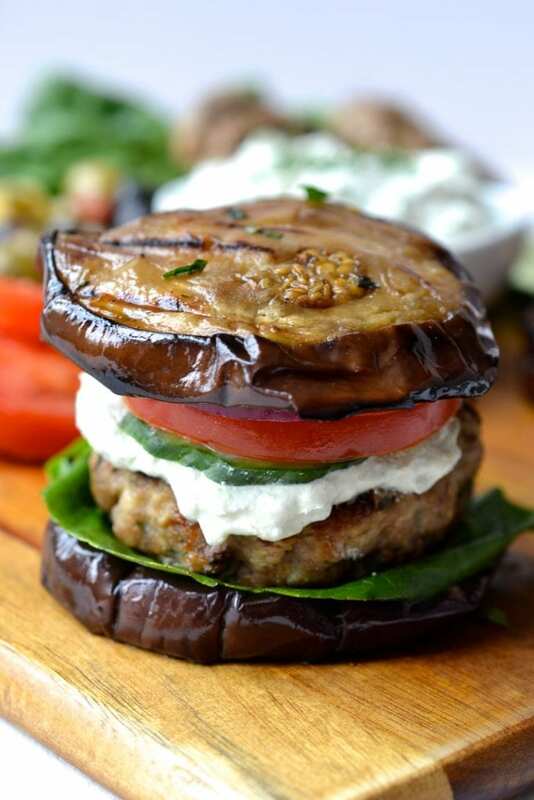 If you aren’t a fan of eggplant you could use sliced potato or butternut squash as a bun instead. 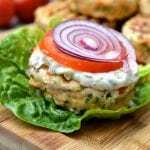 Combine all of the ingredients for the burgers in a large bowl and, using your hands, mix until the ingredients are evenly incorporated. 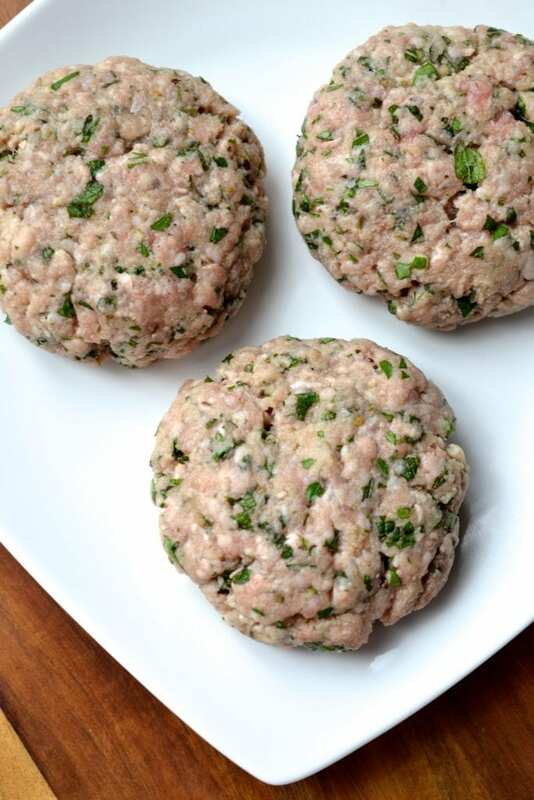 Divide the mixture into 4 evenly sized balls and using your hands for each ball into a patty. Make a small indentation with your thumb in the center of the burger to ensure it cooks evenly. Preheat the barbecue or a grill pan to medium high heat and once up to temperature, cook the burgers for 4 minutes per side until cooked through (but don't overcook as they dry out). 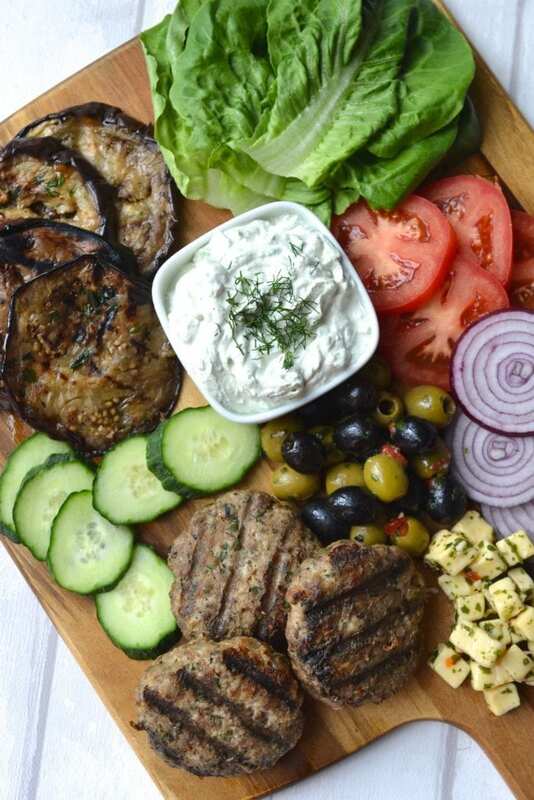 Prepare the board by laying out the lettuce, sliced red onions and tomatoes, chopped olives, feta, tzatziki and grilled eggplant.